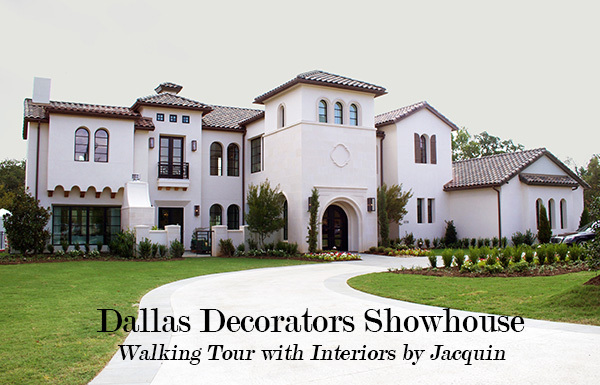 I had the pleasure of attending the Dallas Decorator’s Showhouse‘s PRESS Preview last week and I was beyond impressed! This year’s showhouse was located in Southlake, TX and sponsored by Donna Moss and Traditional Home magazine. The designs showcased here are truly bold. I also had the pleasure to interview designer Scot Meacham Wood. Watch the video below to see this luxurious show home! 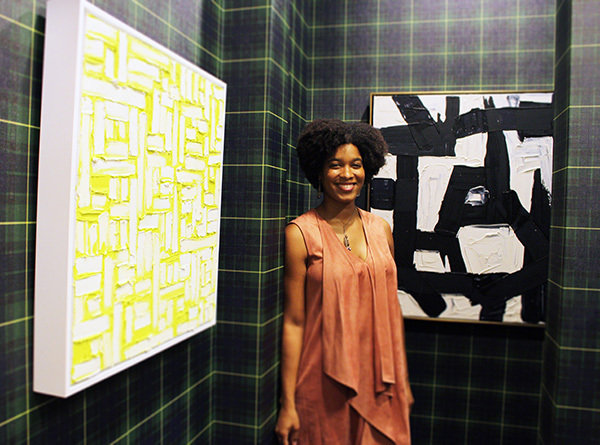 I loved the range of styles present at the Dallas Decorators Showhouse! The home transitioned seamlessly from the bold entryway with graphic wall paper (shown above), to the more traditional spaces like the bedroom below, which you’ll note still features fun patterns. The upholstered choices were all so unique. Definitely a lot of inspiration to consider. 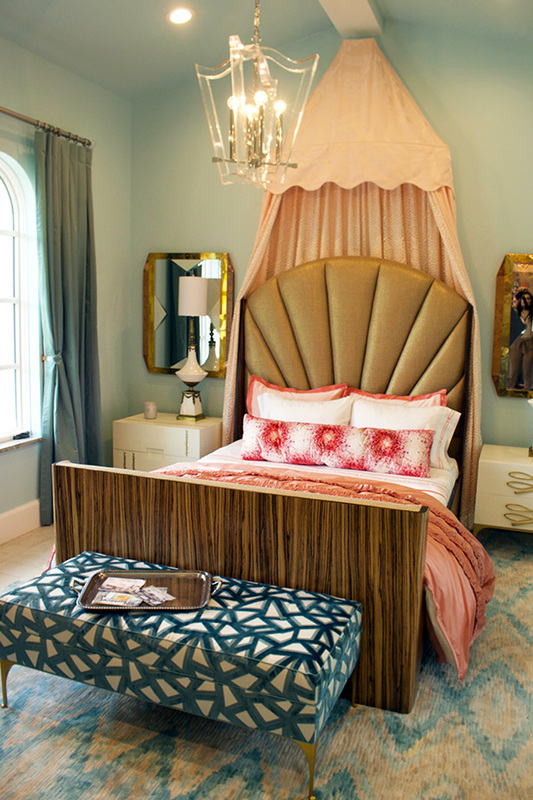 As far as the details are concerned, the Dallas Decorators Showhouse designers certainly didn’t miss any opportunities to make a big statement. 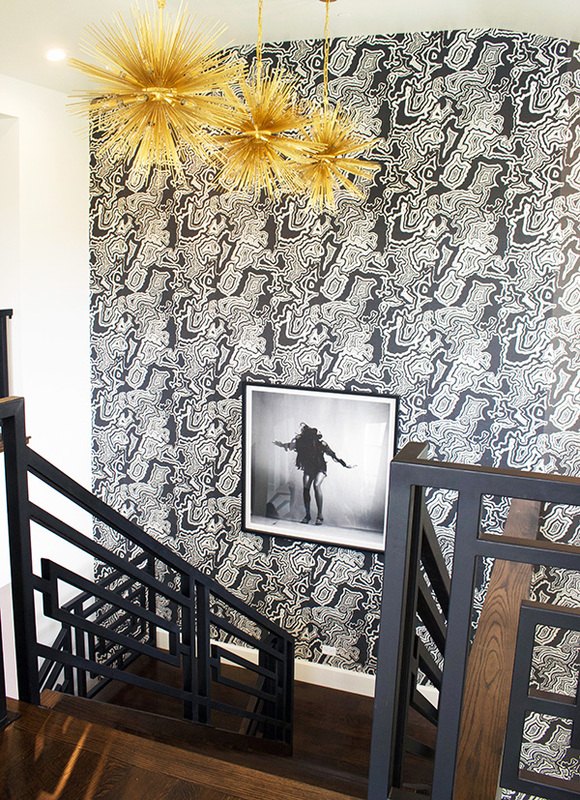 I was truly elated by this staircase nook, which featured bold stairwells, bold chandeliers, and even bolder wallpaper. Just another illustration proving that sometimes more, really is more! The outdoor space at the Dallas Decorators Showhouse was just as impressive as the interior. The outside decor was colorful and lush with a lot of surprising elements. 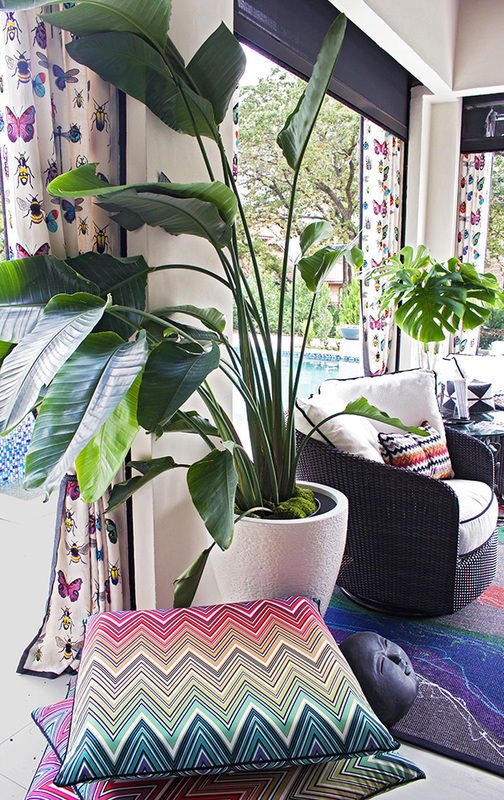 Did you catch the butterfly patterned fabric on the outdoor curtains? 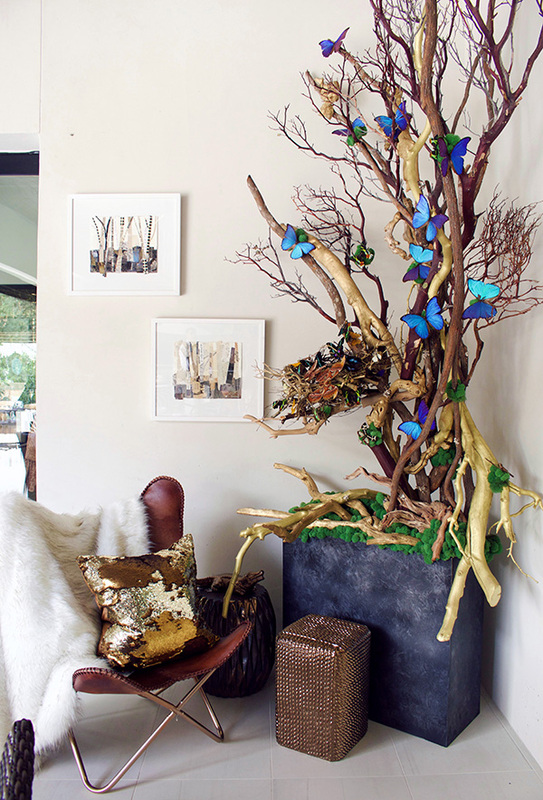 And below you’ll see an oversized butterfly and branch installation that you really have to see for yourself to believe. Check it out below! Besides the luxurious pool, my favorite design element in the outdoor space was the colorful tablescape. 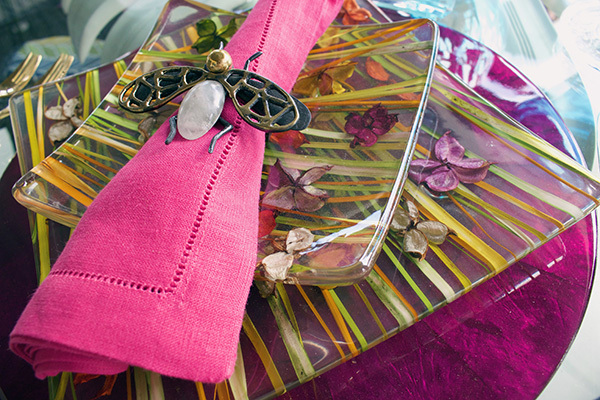 There were multi-colored glass place settings with pressed flowers inside the glass. Truly unique. Sadly I wasn’t able to learn who designs these amazing plates. Any one know? If so, write in below. I’d be so thankful to be able to buy a set of these unique plates for myself! 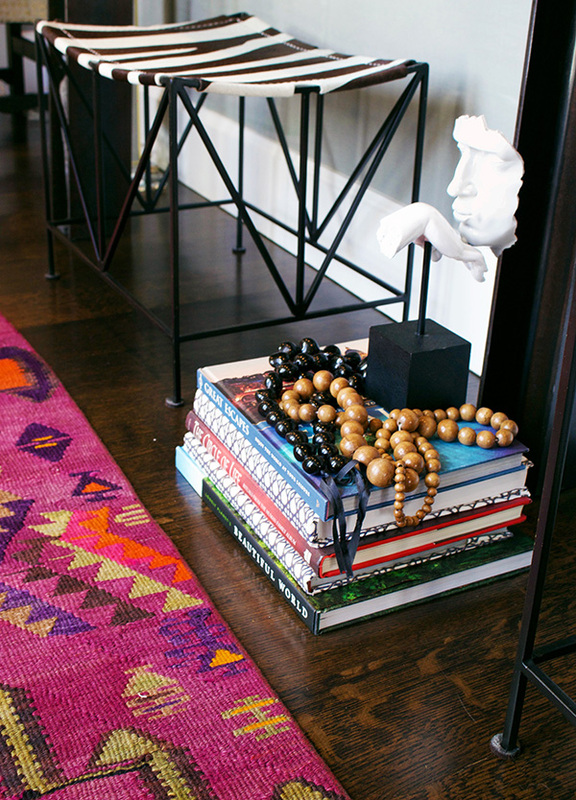 Learn more about the Dallas Decorators Showhouse and the designers who teamed up to decorate this luxurious space at the website here. A portion of the proceeds from the public home tours and gala event went toward supporting the Alzheimer’s Association. Looking forward to next year’s event!